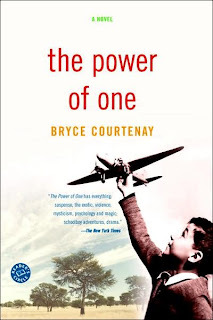 I am highlighting The Power of One, by Bryce Courtenay. I first read it in the fall of 2004, based on recommendations from several family members who’d been passing the book around. Frankly, it didn't sound interesting to me (I’m not a huge boxing guy and wasn’t that interested in South African history), but they kept insisting, so I started reading. Instantly. Hooked. It’s one of the few books that caused me to set my alarm for a few hours before I’d normally get up to go to work, so I could read. The novel is about English orphan Peekay coming of age in World War II-era South Africa. As Peekay grows up as an outsider to South Africa’s racial groups, he must learn to navigate his way through the many different cultures and the racism and stereotypes each holds about the others. Peekay learns to box and trains for his ultimate goal: to be welterweight champion of the world. Through his ability to inspire as a boxer and as a compassionate human, Peekay becomes the “Tadpole Angel” – a hero to the oppressed people of South Africa. The novel is populated with several memorable characters – most of whom are mentors to Peekay. They include a boxing champion named Hoppie Groenewald, a German professor and naturalist who teaches him the ways of the world, and a black prisoner named Geil Peet who teaches him how to box and helps him to relate to South Africa’s oppressed black majority. I love it because it has all the elements of great fiction – it’s funny, thought-provoking, erudite, sad, and most of all, incredibly inspiring. From the moment I read the last word of this book six years ago, Peekay has been my favorite character in all literature – he’s so self-aware, so introspective so confident, so funny, and so compassionate towards the plight of others. He’s everything you’d aspire to in order to live a good life. Peekay represents Africa specifically, but humanity in general – the power of one to be able to change fortunes through hard work, determination and staying true to yourself. If you like coming-of-age stories like Tom Sawyer, Huck Finn or even Catcher in the Rye, you’ll love this book. If you like novels where sport serves not just as a method of connection, but also as a metaphor for life, like The Brothers K (by David James Duncan), this novel will be extremely satisfying for you. If you like inspirational stories about great mentors, like Tuesdays With Morrie, you’ll love this novel. And, really, if you like good fiction, you’ll love this story. You can’t not – I’ve never met anyone who has read this book who hasn’t been absolutely floored. Anyone who looks to read fiction to learn what it’s like to be a human being. Please don’t let the boxing deter you – even if you hate boxing, and know nothing about it, you’ll still love this novel. Great choice for a featured book! 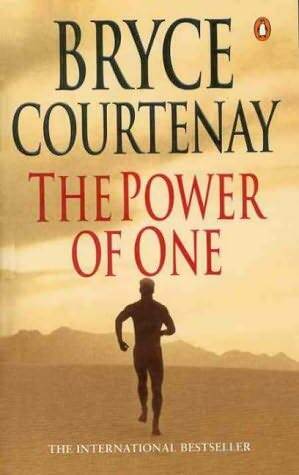 I have read a number of Courtenay books over the years. Some are more miss than hit, but this is one that I definitely have fond memories of, and the film wasn't bad either. This is my favourite book of all time! Wonderful to hear of it again. I think it's time to have a reread. I love this book! That being said, I dislike The Catcher in the Rye and Tuesdays with Morrie, and haven't read the other books he mentions. 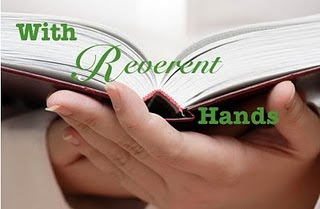 So even if you don't like any of those, you might still love this great book! I have heard amazing things about this book (and the movie as well) and for some reason, the boxing has always held me back. I am glad to hear that you don't have to be a fan of the sport to fully relish the book, and I am now going to give it a try. Since I love coming of age stories, and books that can really move you, this is a double incentive to read this book. Wonderful review, Greg! You've managed to make me really excited about a book that I have previously avoided!! Great post/series by the way! Okay, so I know nothing about boxing and really have no desire to know anything about boxing, but I do want to read this book. Wow. He makes it sound SO amazing. He also makes me wish it were about karate so that, if I am to be enamored by this book, I can be enamored by all aspects, including the sport. And I just realized that this is the same Bryce Courtenay that wrote Solomon's Song, which I quite loved. I love this feature on your blog. Here's yet another book that I sort of remember hearing about at some time in the past but now with your feature am reminded that I would really like to read it. Great selection! I read this book a number of years ago and loved it! The boxing is secondary to Peeknay's coming of age story.